Venezuela's populist leader has urged Latin Americans to boycott celebrations for the anniversary of the "discovery" of the Americas by Christopher Columbus. 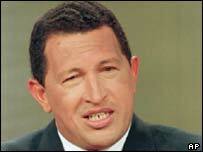 President Hugo Chavez accused the much-lauded adventurer of spearheading a "genocide". The 1492 arrival of the Italian explorer, employed by Spain, triggered a 150-year "invasion" of native Indians by foreign conquerors, who behaved "worse than Hitler", he said. Columbus Day falls on 12 October and is celebrated with a public holiday on Monday in the United States and several Latin American nations. But at a meeting in Caracas - attended by representatives of the indigenous population in South America, President Chavez said: "Christopher Columbus was the spearhead of the biggest invasion and genocide ever seen in the history of humanity." Columbus Day should be remembered as the "Day of Indian Resistance", he said. Spanish, Portuguese and other foreign conquerors had massacred South America's Indian inhabitants at an average rate of roughly "one every 10 minutes", he said. 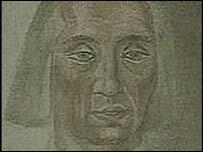 He described Spanish conquistadors like Hernan Cortes and Francisco Pizarro, as "worse than Hitler". And he said even the continent's geographical names - such as America and Venezuela - were created and imposed by foreigners. Opponents of Chavez - seeking a referendum to try to vote him out of office - say his real aim is to instal an anti-US communist system. In his speech Chavez praised Indian chiefs who had fought against the invaders, such as Guaicaipuro who resisted the Spanish founders of Caracas, and American Indian chief Sitting Bull, who defeated US General George Armstrong Custer at the Battle of Little Bighorn in 1876. "Long live Sitting Bull!" Chavez declared, drawing applause from his audience, many of whom wore traditional native clothes and head-dresses. The second Monday in October was declared a national public holiday by president Richard Nixon in 1971.